To obtain copies of birth and death records locally in Boone County, interested individuals will need to visit the Columbia-Boone County Department of Public Health and Human Services at 1005 West Worley in the town of Columbia, MO. Applicants can call for more information at (573) 874-7355 or email. 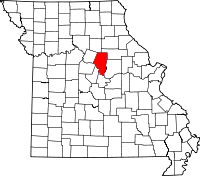 The local Health and Human Services location is a county branch of the Missouri Department of Health & Senior Services which operates the Bureau of Vital Records in Jefferson City, MO. Copies of records can also be obtained from this office, and they are available dated from 01/01/1910. While in Jefferson City, those interested in research can visit the Missouri State Archives Research Room which has on hand more than 336 million pages of records and documents, along with hundreds of thousands of photos and reels of microfilm. A huge portion of the room's records are provided online, as well.